First, I’ll admit I love books. Of all kinds. Period. 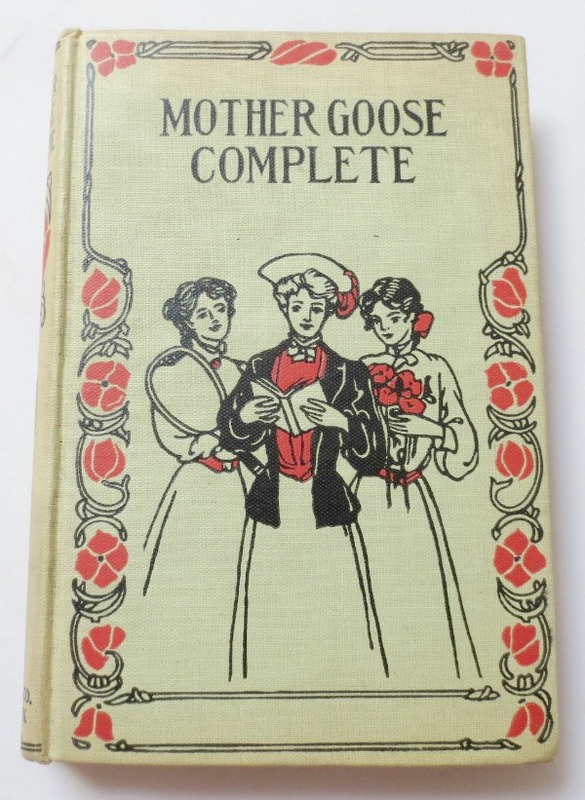 But of course children’s books often hold a special part in my heart…and probably yours too! Back in the day they transported us to new vistas, took us on adventures and introduced us to different people and cultures. They remind us of a more innocent, carefree time of life. So when I head off to a book sale and spot wonderful, old children’s books, I can’t resist them…even if their condition is less than optimal. Like this one. 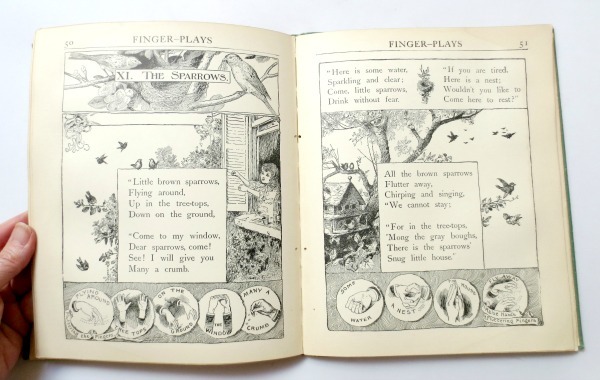 From a resale standpoint I know I shouldn’t have bought this “Finger Plays for Nursery and Kindergarten” book. It has a lot of wear and water-stained pages. But it also has the most amazing illustrations from 1893 (though it’s a 1921 edition). I could see this book being used in a mixed-media art project or as an adult coloring book. 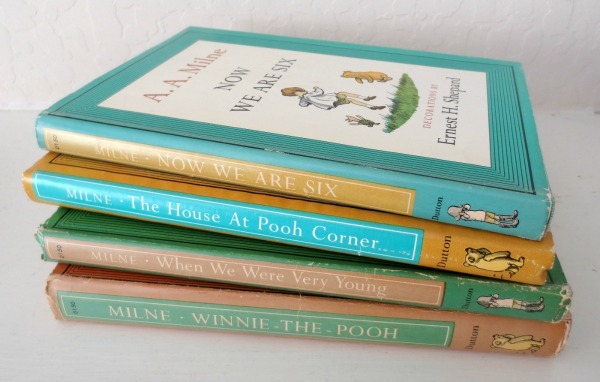 Later I found a fabulous collection of four 1961 Winnie-the-Pooh books. Perfect, sweet books to read to young children or grandchildren. Oh gosh I miss my Winnie-the-Pooh days. 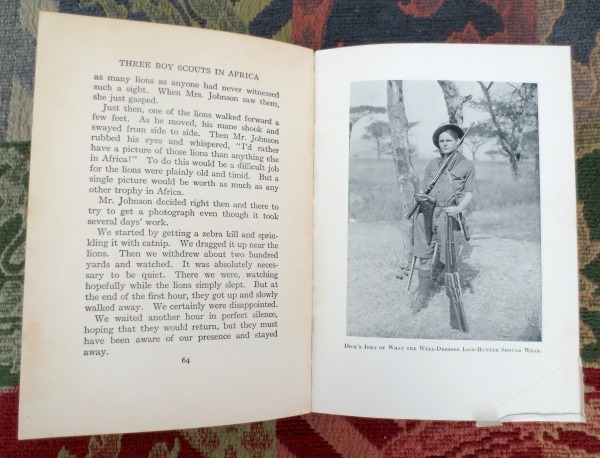 Another unique find…“Three Boy Scouts in Africa: On Safari with Martin Johnson”, circa 1928. Apparently the boys were selected from hundreds of scouts nominated for this safari. Looks like it is an interesting read. Well, that’s some of the books I bought at the sale, and let me say, it was a pleasure finding them! 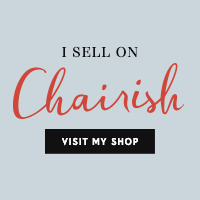 How about you…found any good books lately?? I buy old books if they have interesting covers or beautiful pages. I love the old bird guide books!